YOKKAO 10 World Title -70kg: Jordan Watson vs Mickael Piscitello - Full HD。Jordan Watson vs Mickael Piscitello YOKKAO 10 World Title -70kg - Muay Thai Full Rules 5x5 -70kg. Saturday, October 11, YOKKAO 10 and 11 have once again signaled England’s Muay Thai success. 2 events in 1 night and 2 Yokkao World Titles. The power of a dream, the dream of fighting in the most exciting Muay Thai promotion, gave the fighters the right boost to fight beyond their abilities. YOKKAO 10 TKO: Tim Thomas vs Sabri Sadouki - FULL-HD。YOKKAO 10 TKO: Tim Thomas vs Sabri Sadouki FULL-HD Muay Thai Full Rules 5x5 -65kg. Saturday, October 11, YOKKAO 10 and 11 have once again signaled England’s Muay Thai success. 2 events in 1 night and 2 Yokkao World Titles. The power of a dream, the dream of fighting in the most exciting Muay Thai promotion, gave the fighters the right boost to fight beyond their abilities. YOKKAO 10 TKO: Steve Long vs Salah Khalifa - FULL-HD。Steve Long vs Salah Khalifa YOKKAO 10 Muay Thai Full Rules 5x5 -68kg. Saturday, October 11, YOKKAO 10 and 11 have once again signaled England’s Muay Thai success. 2 events in 1 night and 2 Yokkao World Titles. The power of a dream, the dream of fighting in the most exciting Muay Thai promotion, gave the fighters the right boost to fight beyond their abilities. 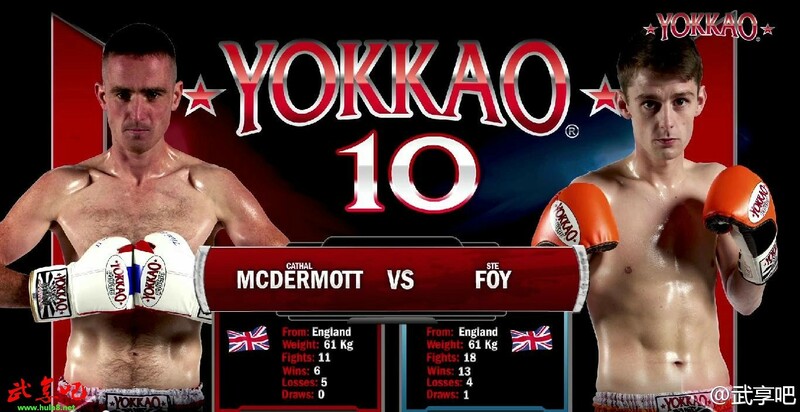 YOKKAO 10 TKO: Cathal McDermott vs Ste Foy FULL-HD。Cathal McDermott vs Ste Foy at YOKKAO 10 - Muay Thai Full Rules 5x3 -66kg. Saturday, October 11, YOKKAO 10 and 11 have once again signaled England’s Muay Thai success. 2 events in 1 night and 2 Yokkao World Titles. The power of a dream, the dream of fighting in the most exciting Muay Thai promotion, gave the fighters the right boost to fight beyond their abilities. YOKKAO 10: Prathet vs Brian Totty FULL-HD。Prathet vs Brian Totty at YOKKAO 10 - Muay Thai Full Rules 5x3 -66kg. Saturday, October 11, YOKKAO 10 and 11 have once again signaled England’s Muay Thai success. 2 events in 1 night and 2 Yokkao World Titles. The power of a dream, the dream of fighting in the most exciting Muay Thai promotion, gave the fighters the right boost to fight beyond their abilities. 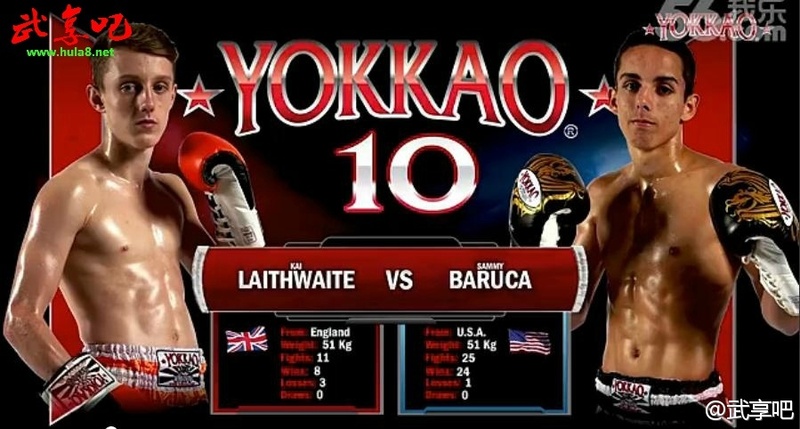 YOKKAO 10: Kay Laithwaite vs Sammy Baruca FULL-HD。Kay Laithwaite vs Sammy Baruca YOKKAO 10 - Muay Thai Full Rules -51kg. Saturday, October 11, YOKKAO 10 and 11 have once again signaled England’s Muay Thai success. 2 events in 1 night and 2 Yokkao World Titles. The power of a dream, the dream of fighting in the most exciting Muay Thai promotion, gave the fighters the right boost to fight beyond their abilities. Saturday, October 11, YOKKAO 10 and 11 have once again signaled England’s Muay Thai success. 2 events in 1 night and 2 Yokkao World Titles. The power of a dream, the dream of fighting in the most exciting Muay Thai promotion, gave the fighters the right boost to fight beyond their abilities.